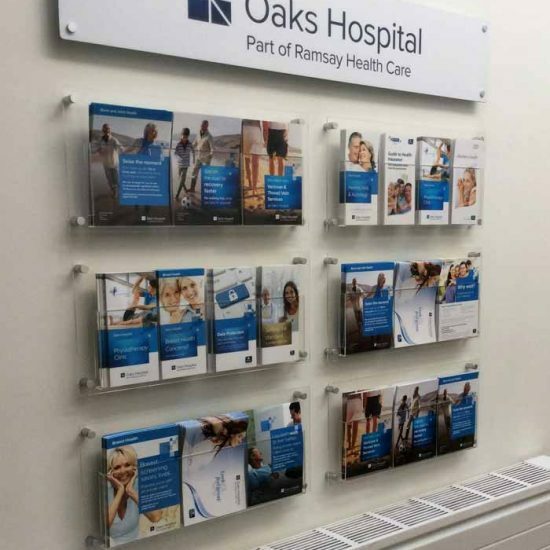 Customised wall fixed leaflet displays. 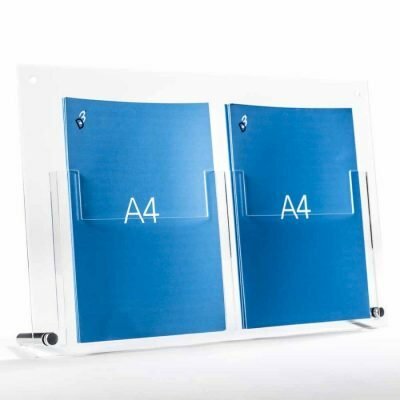 …rows of acrylic holders in A4, A5 & DL sizes. 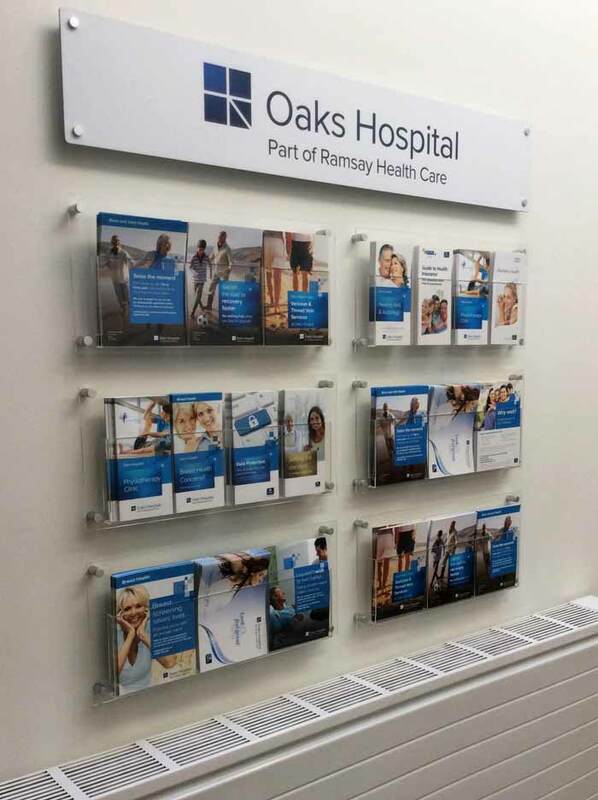 You can have different leaflet sizes on each row. Production lead time is 6 days. Larger layouts are possible. 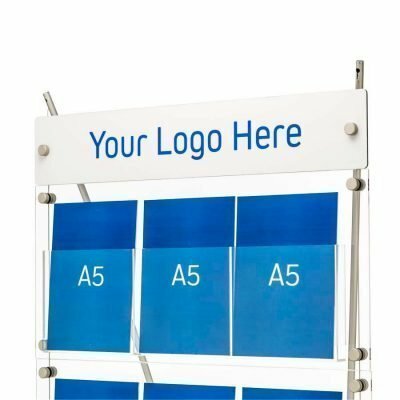 Call us for prices. 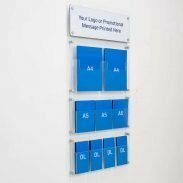 Install acrylics in any order you want. 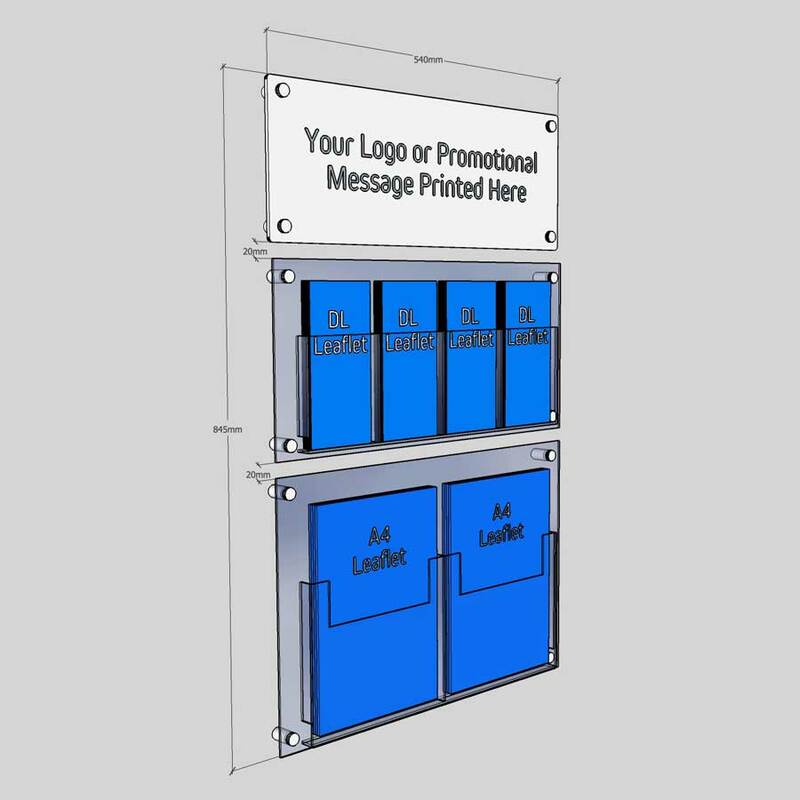 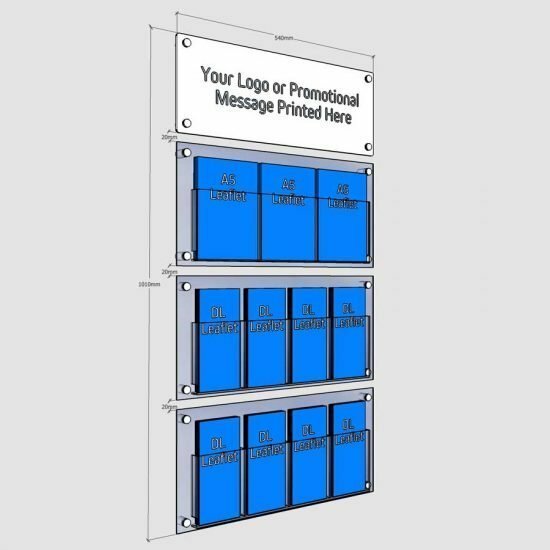 Order 3 - 4 displays and receive a 10% discount. 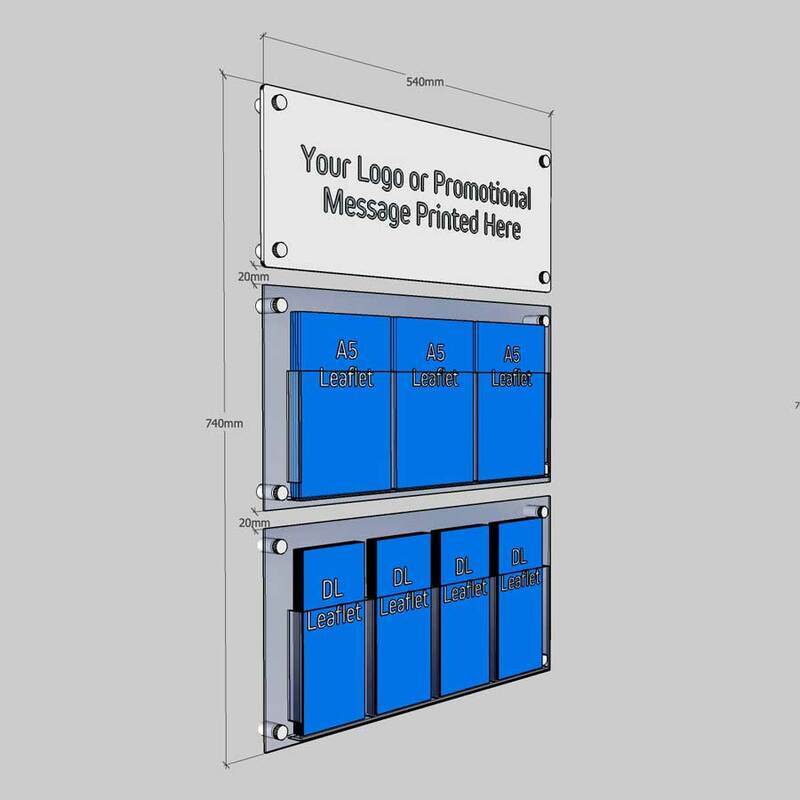 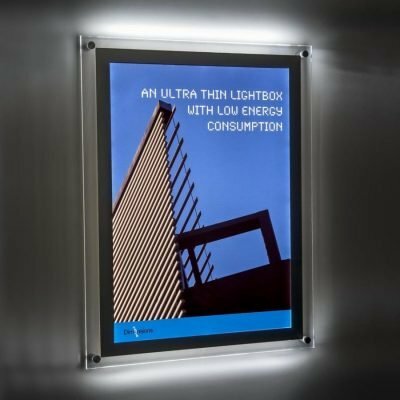 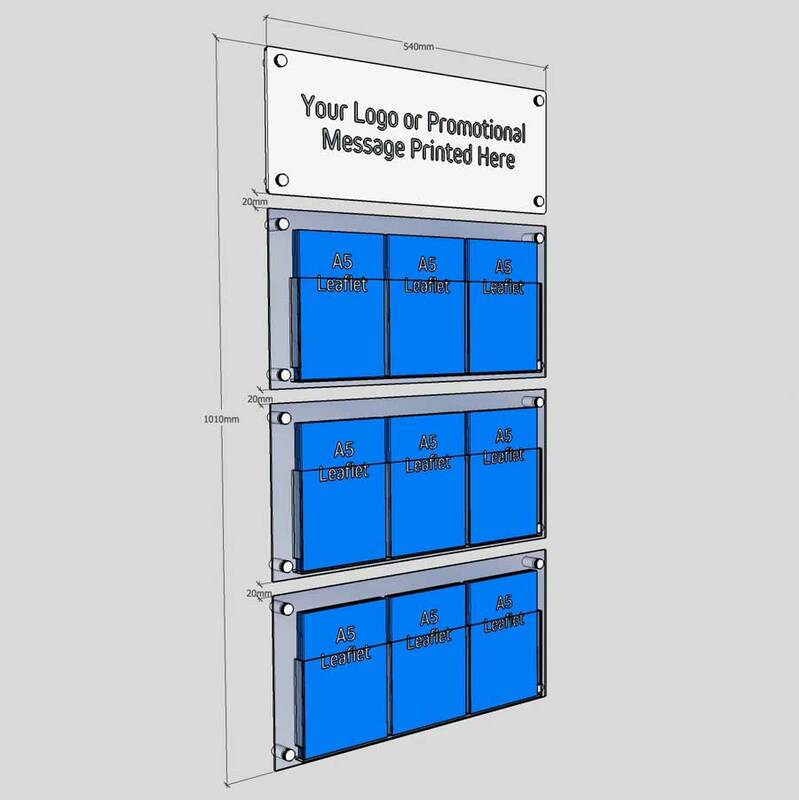 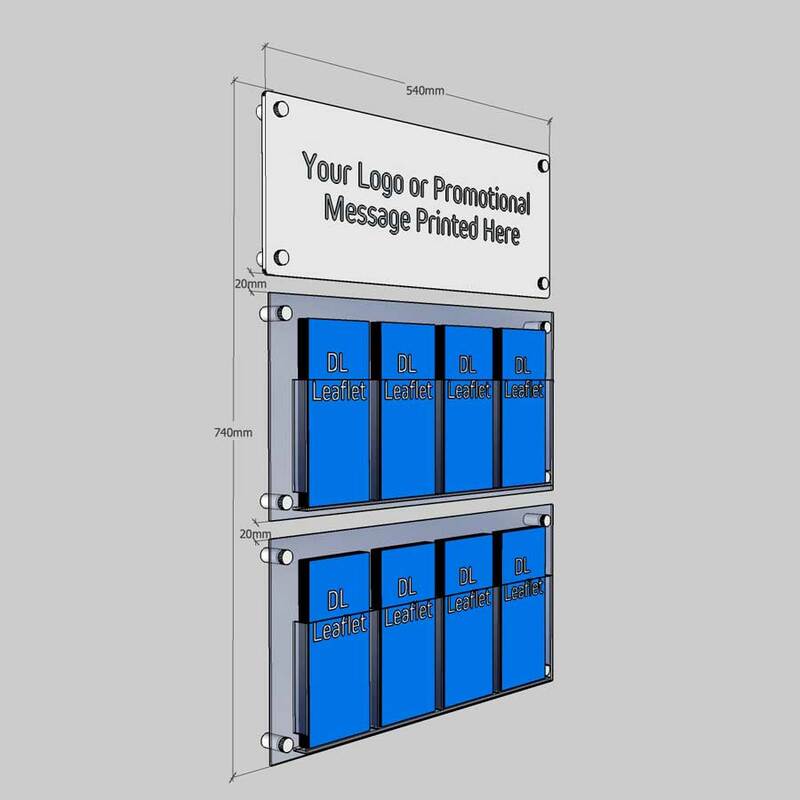 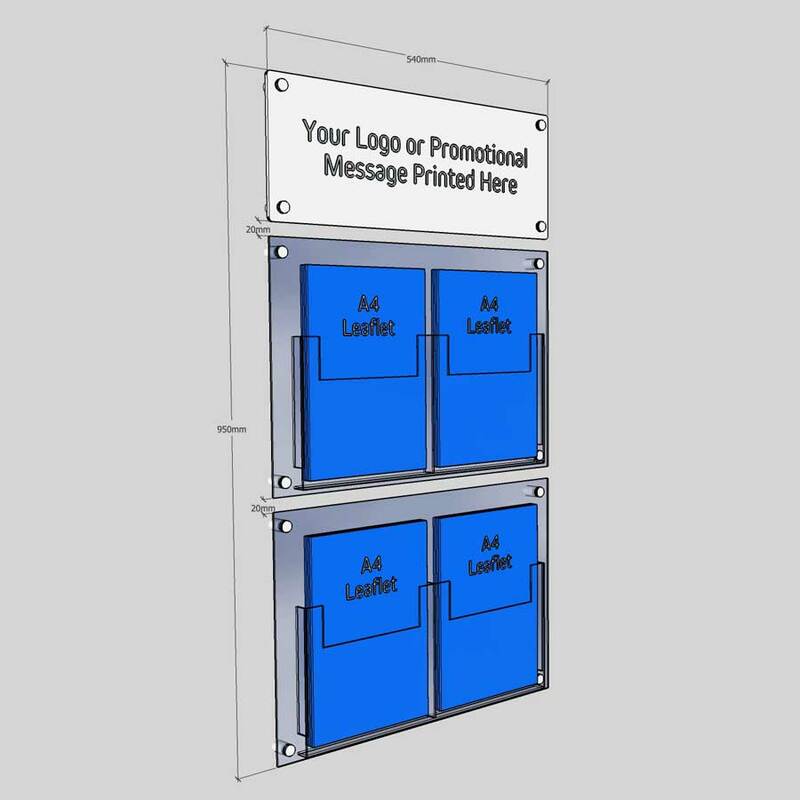 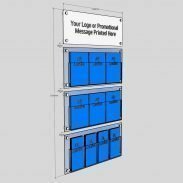 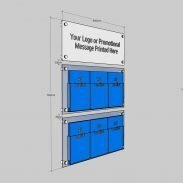 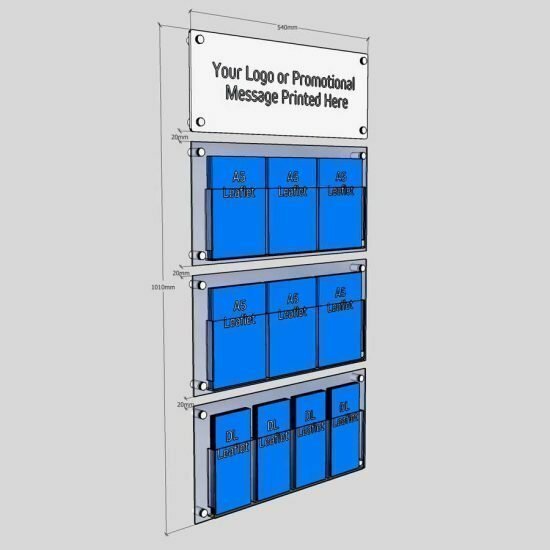 Order 5 - 9 displays and receive a 15% discount. 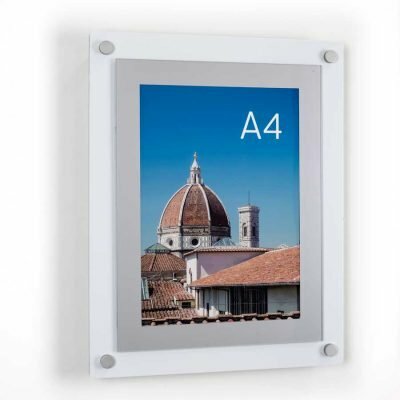 The 20mm deep acrylic pockets are mounted on stand off fixing directly to the wall. 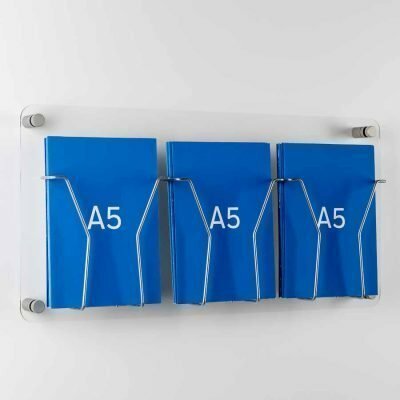 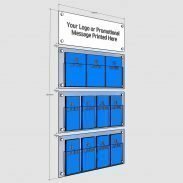 Our clear acrylic leaflet holders are a high quality displays made from clear 3mm cast acrylic. 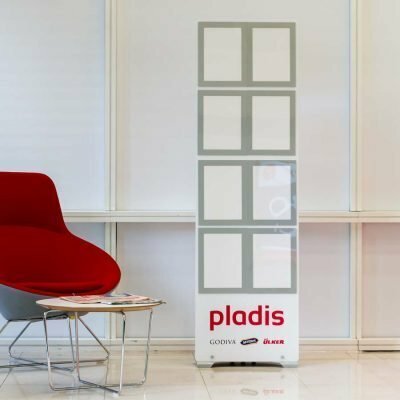 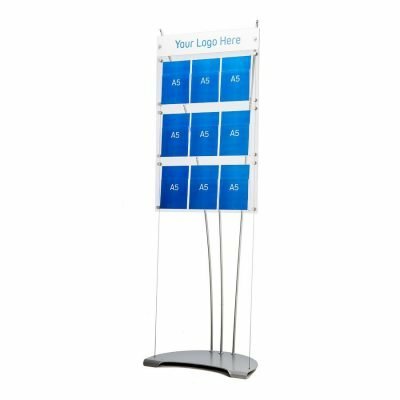 They are perfect for use in corporate foyers, waiting rooms, marketing suites or reception areas. 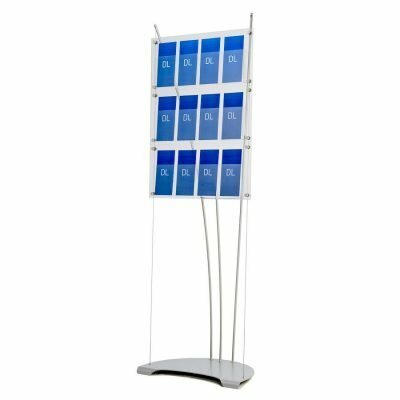 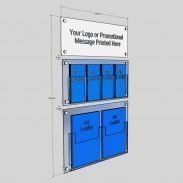 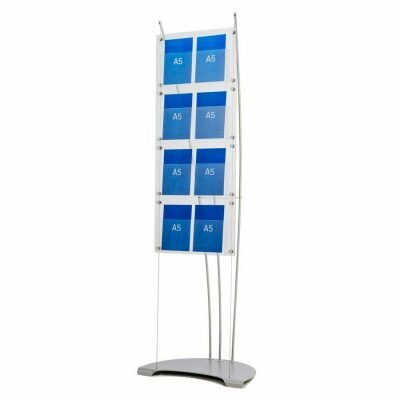 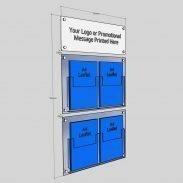 Displays can also be used in corporate offices, meeting rooms, showrooms, events spaces. 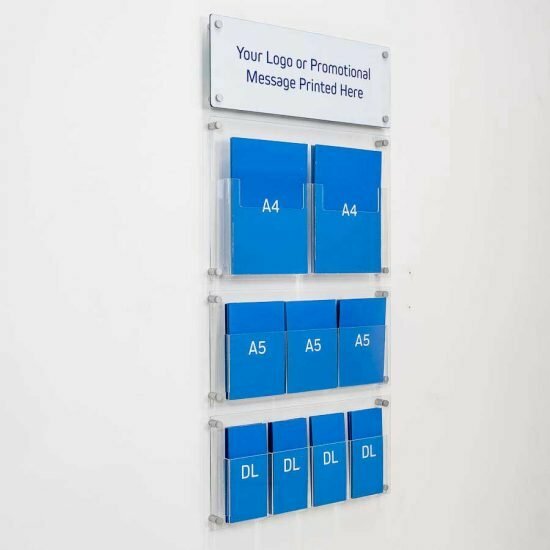 Create your own branded brochure displays by specifying the pocket size & rows of acrylics required. Larger configurations are possible. 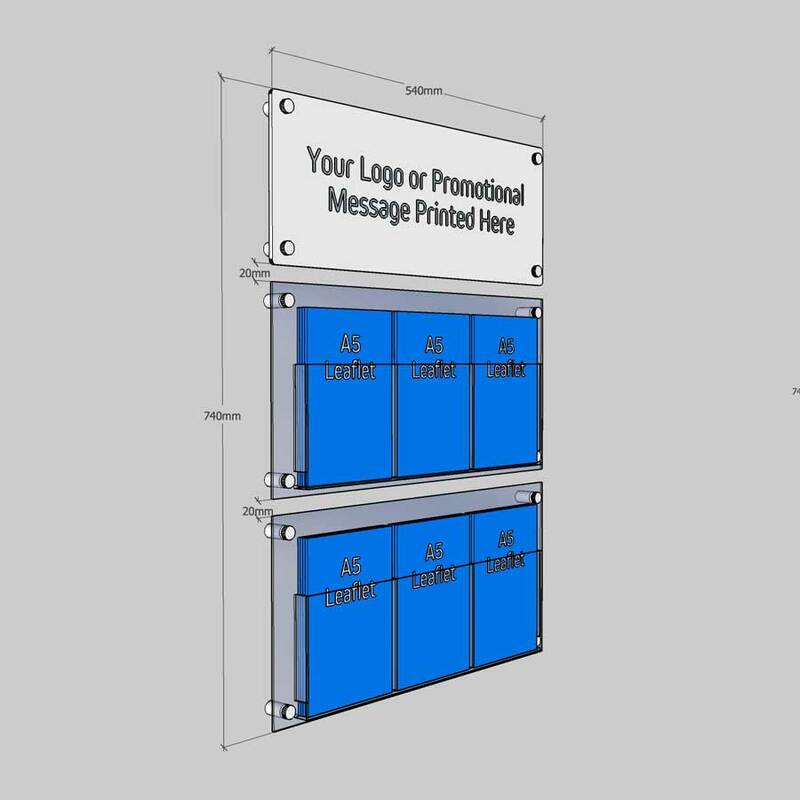 Call for prices and also for free 3D visualisation. 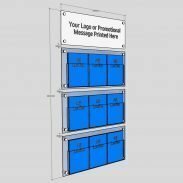 Mix different size pockets on the same wall display.